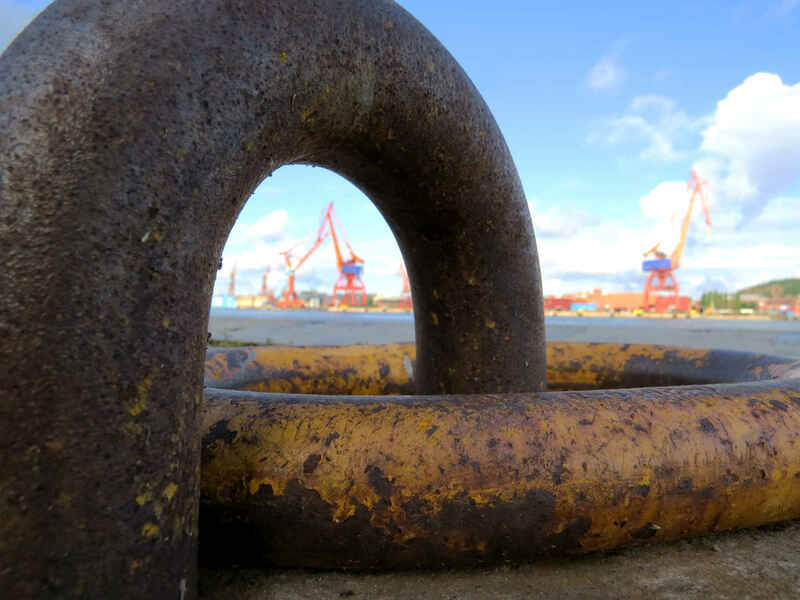 Framed by one of the iron mooring loops set into the quayside, some of the few remaining dockside cranes along by Göta älv. This is the river that passes through Gothenburg and once served the city as its main harbour. 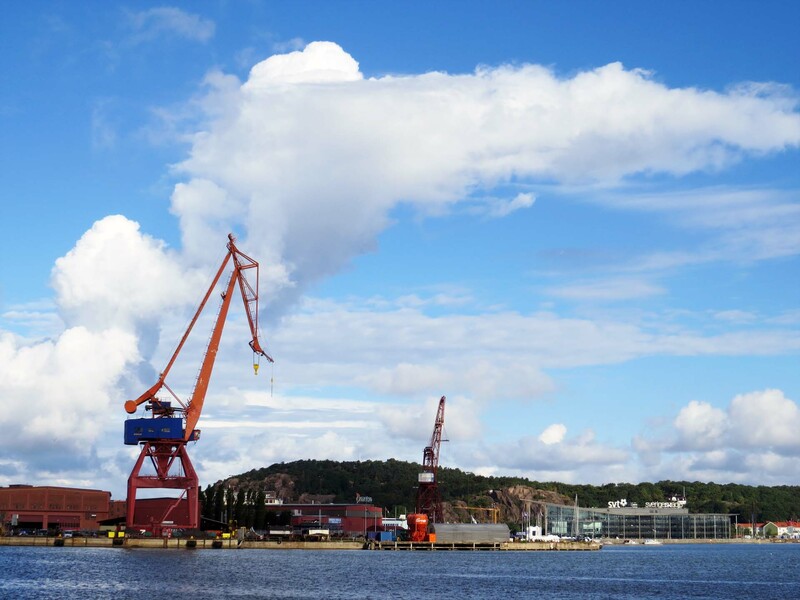 The photo is taken from the mainland looking across to Hisingen (Sweden’s fifth largest island) where the major ship-building wharves were once the beating heart of the city. I originally published this photo on GBG365 on 31st July 2013. In the same post from five years back I also posted the photo below which shows the harbour cranes in better focus, and the thunder head building up behind them.